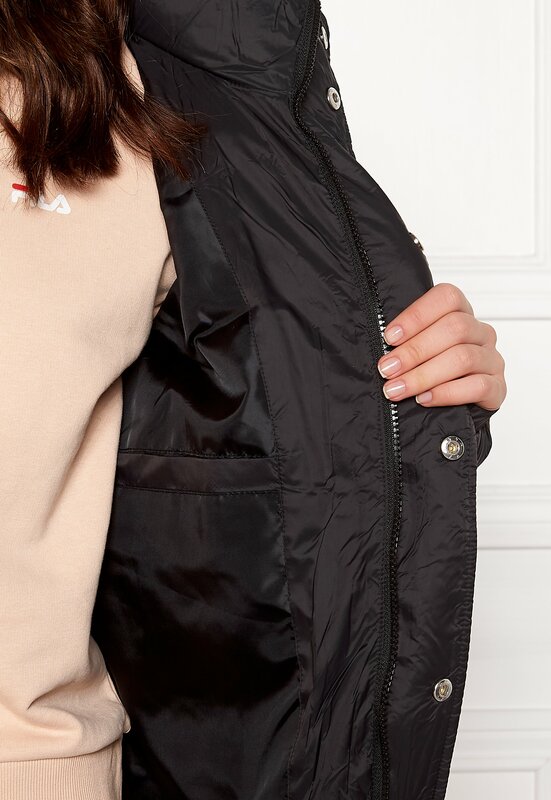 Elegant jacket with a trendy design from FILA. The jacket has a shorter length and high collar. - Two zippered front pockets - Zippered closure and snaps at front - Logo on chest and back - Higher collar with two concealed snap closures - Elastic at cuffs and lower hem - Open inside pocket Back length from shoulder 60 cm, bust 104 cm in size S. The model is 171 cm tall and wears a size S. Dry clean only.